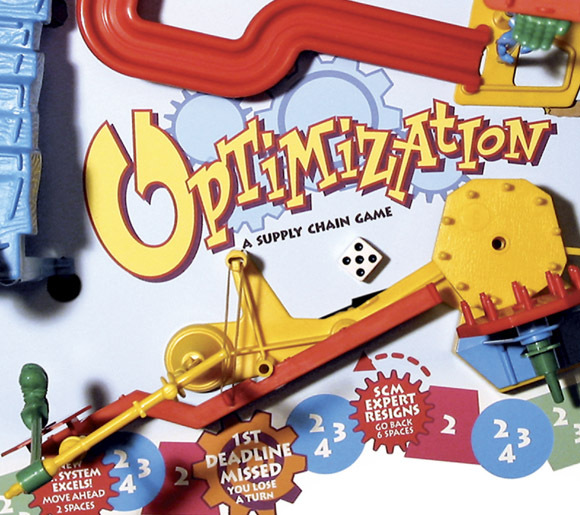 The Design Challenge: Represent the process of supply chain optimization as a game with pitfalls, traps, hoops to jump through, setbacks, and big advances. 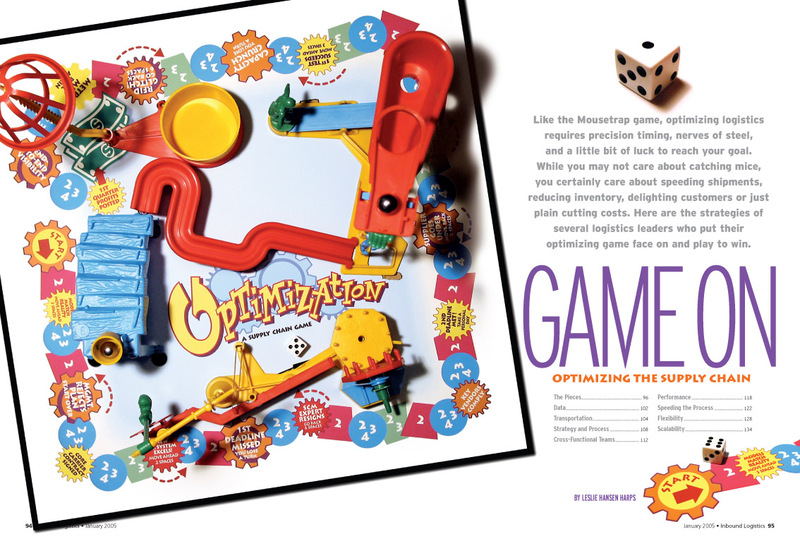 The Solution: The classic board game Mouse Trap was used to create a completely customized game board. All of the various places along the game board reflected actual steps included in the story (see detail image below). The Technical Details: A complete game board was designed to scale in Adobe Illustrator, printed as a large-format inkjet, and pasted down over the actual Mouse Trap game. The plastic parts were put in place and the board was photographed repeatedly for the opener and use through a multi-part special section covering the subject of optimization.